Sport governance has become an increasingly widespread subject for research and teaching in sports studies. This engaging and accessible textbook examines the governance of sport organisations in a changing political, legal, financial and socio-cultural context. It explains how sport organisations are governed, explores the issues and challenges faced by those governing sport today, and looks ahead to how sport can be governed better in the future. 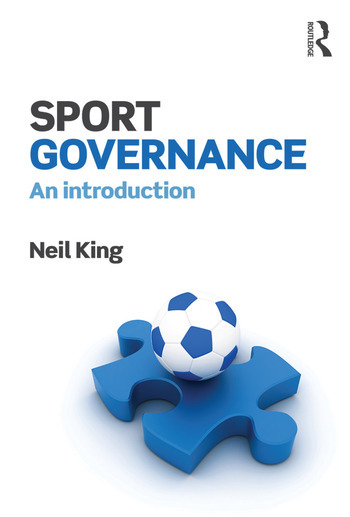 Covering sport at all levels, from community organisations and national governing bodies to international organisations such as the IOC and FIFA, this text examines key components of governance, such as legal and regulatory frameworks, stakeholding, performance, compliance and the reform of the non-profit sector in line with corporate governance. This text is also timely given that recent corruption scandals in sport have served to highlight the central importance of good governance in sport. Its nine chapters draw upon more than thirty international case examples across a range of sports including athletics, football, gymnastics, hockey, rowing, rugby, badminton and tennis. With extensive lists of learning activities and resources, original empirical research and insights into the politics of policymaking and implementation, this textbook is essential reading for any course on sport governance, policy, management or development.